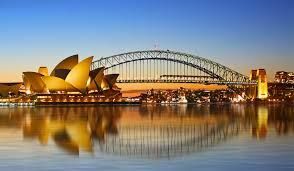 Professional family based in Lilyfield, Sydney is looking for their first passionate live-in experienced Au Pair or Nanny to join their happy family and act as an extra pair of helping hands. The family are looking for a live-in Au Pair/nanny with a real passion for children and their care and has the experienced with young babies. Both parents run their own business with Mum about to take maternity leave for a few months. They have a fun-loving, full of energy, ideas and imagination 3 year old girl and a new baby due within the next month and will around 3 months old when you start. This a very relaxed family, who enjoy hanging out together with friends with trips also to the park on the weekend, taking the scooter (for their daughter) and skateboard (for Daddy!). They love café breakfasts, markets, swimming, reading and the occasional movie with popcorn! They need someone who is kind, fun, trustworthy, loving and genuinely enjoys playing with kids. You should be comfortable with young children and have some experience with babies. Also you should be happy to help out around the house, pack away kids toys, some cooking (primarily for the kids), washing/folding and and cleaning up after yourself. The most important thing is that the children are safe and happy. During the day while the 3 year old is at daycare it will be more assisting mum with caring for the baby, cuddling, feeding and playing so mum can catch up on sleep or get some work done. It will be very much a team effort between you both, so past experience or a love of babies is a must. This is an excellent position with your own large room, with lots of wardrobe space and main use of the bathroom The house is a a three bedroom / two bathroom house in Lilyfield, which is a gorgeous and quiet part of Sydney – but just a short 10 minute trip from the city via bus or light rail (light rail station literally at the end of the street). The house has air conditioning throughout, a beautiful gas fireplace – plus a back garden with a large trampoline that’s a big hit with the kids! They are also walking distance to a huge selection of great cafes, funky markets, parks, swimming pools, harbor running tracks, restaurants and shops as well. You really are right in amongst all the activity of the city, but in a peaceful family orientated neighbourhood. In addition to fantastic accommodation and all meals, you will receive generous weekly pocket money for up to 35 hours of help each week. You will have most fridays, weekends, public holidays and most weeknights free. There will also be interstate travel included. Start date July and ideally for 6-12 months. Confident Driving is required andcar for use. All our families are screened to ensure your safety and we do not charge Au Pairs or Nannies for organising Families. For more information on this position and other exciting opportunities – please reply now.